Patty Boyle is the Corporate Director of Architecture for SmithGroup, one of the largest architecture, engineering and planning firms in the US. Based in the firm’s Detroit office, Patty is responsible for establishing strategies for innovation and consistency in practice and project delivery throughout the firm. Patty also serves as a senior project architect, leading collaborative partnerships with integrated teams to deliver a broad range of award-winning projects. She is committed to achieving the highest level of work in design, practice, delivery and service. Patty is also dedicated to addressing diversity and resilience in the practice of architecture. With a focus on these issues, Patty initiated the ‘Detroit Women in Architecture’ in 2015 and has served the profession and membership of AIA Detroit as a Board Detroit Director and Treasurer. I’m an alumnus of Lawrence Technological University with a B.S. in Architecture and Masters of Architecture that I received in 2000 and 2006. I’ve been in the profession since 1997, working in a variety of residential and commercial firms, and building supply. I also spent a couple years working in long term disaster relief in Haiti and as the Business Manager of AIA Detroit. I’m currently a Project Manager at Integrated Design Solutions in Troy where a majority of my projects have been in higher education. I have been a member of the AIA since 2004 and an active volunteer since 2007. Receiving the Michigan Architectural Foundation’s Presidents Scholarship inspired me to join and give back to the organization by volunteering. I have seen and participated in the immense positive change that our chapter has undergone and many people have been a part of it. I was co-chair of the successful ARE-Timing bill with the AIAMI Government Affairs Committee which was a 2 1/2 year grassroots effort. I am also one of the founders of the AIA Detroit Emerging Professionals Committee which spurred several sub-committees that have grown and persisted for over 10 years such as PechaKucha Night and ARE Prep. Over the last 6 years as one of the core committee members of the AIA Detroit Celebration of Architecture and AIA Detroit Director of Sponsorship, I have facilitated sponsorship efforts that have raised nearly $400,000 in sponsorship from which profits support programming and initiatives for our membership and community. For many of these efforts over the last decade, I was awarded the AIA National Jason Pettigrew Memorial Scholarship in 2009 and honored to be the inaugural recipient of the AIA Detroit Associate Member Award in 2013 and the recipient of the 2017 AIA Detroit Young Architect Award. The fact that we have seen several colleagues contest and go after board positions is a testament to the positive direction and environment that our chapter has fostered. I’m proud to call many of them colleagues and friends as we have spent most of our professional careers together volunteering side-by-side. I am running for treasurer to continue the streamlined and visual approach that Patty Boyle has brought to the position. Having been the Business Manager, I’m very familiar with handling the finances of the chapter since I did it for a year. Over the last year on the executive committee I have contributed in the most recent budgeting and financial management of the chapter. As we move forward into 2019, I would look to continue to streamline our financial processes to allow more flexibility and transparency in reporting as well as minimize extra staff and volunteer time, so that their time can be better spent on providing service to our membership. I am excited for the opportunity to serve AIA Detroit as Treasure for the next term. 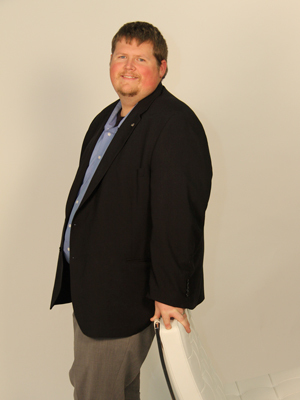 My name is Timothy Flintoff Jr. AIA, NCARB and I am a sole practicing architect at 4545 Architecture and Design. I focus on small commercial and residential projects. Previously I was a Project Manager with Hamilton Anderson Associates. My career includes working at Albert Kahn Associates, Kraemer Design Group, Stucky Vitale Architects and NSA Architects-Engineers as a Project Architect. I have been working in the profession since the mid-2000s, with project experience covering a variety of project types ranging from hospitality, healthcare, industrial, residential, retail, and mixed use to federal/government work. I am a resident of Detroit, currently renovating a 104 year old home with my wife Ashley, our two huskies and cat. I am an Eagle Scout and active member of the Boy Scouts of America, serving both statewide and nationally with the organization for several years. I received a Bachelor of Science in Architecture and a Bachelor of Arts in History from the University of Detroit Mercy and a Master of Architecture from Lawrence Technological University. I have been an active member of the AIA for almost 15 years starting with the early formation of the Emerging Professionals Committee to leading and lecturing for the ARE Prep Committee in 2012. Additionally, I have been a member of the AIA Michigan Government Affairs Committee since 2008, working with fellow Associates and AIA members to successfully pass several legislative efforts including the ARE timing bill and actively advocating on behalf of our organization. For the last two years I have had the honor of representing our chapter while serving as both an AIA Detroit Board of Director and an AIA Michigan Board of Director. Having had the opportunity to serve on both the AIA Detroit and AIA Michigan boards has allowed me to learn a tremendous amount regarding the time commitment, dedication and effort that is required in order for our board to serve our members and provide the outstanding programming that we develop and maintain from year to year. My interest lies in a dedication to our organization, from the fundamental principles that our membership represents to the growth for the future. Without dedicated leadership, we cannot prepare the industry for the future. Past treasurers have maintained a vigilant watch over the finances of our organization. The generosity of many individuals and businesses has allowed us the opportunities and staff to facilitate the excellent programming this chapter is known to provide. I look forward to using my experience, knowledge and passion for the City of Detroit and the profession to enhance the mission and vision of AIA Detroit. I believe that I am the appropriate candidate to be elected to serve AIA Detroit on the executive committee as Treasurer. 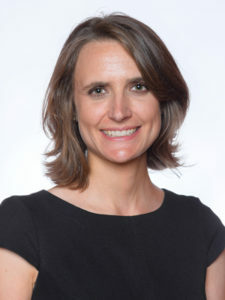 Katie Johnson (Miller) is a Principal at AECOM focused on multidisciplinary collaborations in Michigan cities, including Detroit, Flint and Grand Rapids. Her early career experience in community development—working with northwest Detroit neighborhood residents and southwest Detroit small business owners—led to a lifelong passion for serving Detroit. As an architect and Detroit resident, Katie currently serves on the Detroit Historic District Commission and the Facilities Committee for Downtown Boxing Gym Youth Program, an afterschool program on Detroit’s eastside. 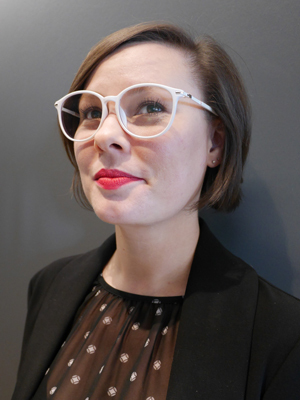 Katie excels at harvesting diverse viewpoints to foster creative thinking and fuel innovative strategies. Her leadership approach draws on her expertise in both design and business to translate bold ideas into tangible results. Katie’s AIA involvement includes participation the Practice Innovation Lab, hosted by the Young Architect’s Forum in Washington, D.C. in 2017. At the Practice Innovation Lab, Katie pitched a new practice model for collaboration among architecture firms in professional and community service projects, garnering the event’s “People’s Choice” award and a subsequent Architecture Business Plan Competition award presented at A’18 in New York. Prior to Katie’s involvement with the Practice Innovation Lab, Katie served on AIA Detroit’s Urban Priorities Committee where she led a collaborative effort between AIAD, Detroit Public Schools and the Michigan Association of Planning to host a workshop on the adaptive reuse of vacant school buildings. As Detroit enters its fourth year of designation as a UNESCO City of Design, Tracy is in a unique position to help AIA Detroit evolve and expand our place in the City’s design ecology. She brings to bear the perspective of a *relatively* young professional with a broad community-arts network, a strong track-record in committee work and event planning, and comprehensive knowledge of AIA Detroit from nearly 20 years of in-depth experience with the organization’s membership, policies and events at the local and state level. She will continue to pursue and support initiatives that focus on her core values of connection, inclusion, amplification, and interdisciplinary exchange. 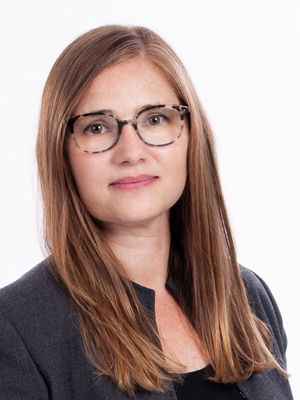 Tracy Sweeney is a licensed architect – first as a part of Fanning Howey’s Library Design Group, and now with HED’s Corporate and Commercial and Higher Ed Studios – with experience in architecture, community engagement, graphic design, public speaking and event planning. Her career has focused on libraries, education and workplace design – project typologies in a state of dynamic flux due to changing expectations about mobility, technology and new work modes. She enjoys cultivating connections between seemingly unrelated ideas, people and events. Through more than two decades of volunteer involvement with university and professional organizations, Tracy has intentionally focused her efforts on inclusion for young professionals, women and minorities. She served as a strong voice for young professionals on the 2008 AIA Michigan Strategic Planning Committee, and later that year, became one of the founding members of the AIA Detroit Emerging Professionals Committee. She also insists on the integration of young designers in her event planning role with the AIA Michigan Design Retreat Committee, and is frequently invited as a panelist in discussions of the issues faced by women and young professionals. Tracy viewed her three-year term as a member of the Architecture and Design Alumni Cabinet at her alma mater Lawrence Technological University, including one year as Chair, as an opportunity to highlight the importance of alumni-student intersections by establishing unique exhibition and networking events around milestones such as the NAAB accreditation visit and LTU’s turn hosting the Structures for Inclusion Conference. She delivered LTU’s 2016 Winter Commencement speech, she appears regularly as a design studio critic, and maintains several active one-on-one mentoring relationships. In 2018, she was awarded the LTU Distinguished Architectural Alumni Award for her extensive involvement with the college, the community, and the profession. In her work with AIA and beyond, Tracy is driven to connect architecture with the larger design community and amplify interdisciplinary exchange. • In her role as Chair of AIA Detroit’s PechaKucha Night Detroit Committee and MC of the quarterly events, she has ensured Detroit’s place in an international community of over 1000 PK cities worldwide, and has given the stage to more than 350 creative “20×20” stories over 10 years and 36 local events. • In 2013, she was an organizer of the groundbreaking PeopleMover Architecture Conference, a mini-conference-in-motion that brought experts in architecture and urban planning to share their knowledge with the public on the PeopleMover trains and an on-street urban afterglow picnic reception. • Tracy’s three years of service on the AIA Detroit Celebration Committee, and her efforts as stage team lead and event MC, were critical in retooling the chapter’s annual awards program to welcome a crowd of thousands that includes young professionals, allied professions and the community-at-large to recognize the profound impacts of great design. 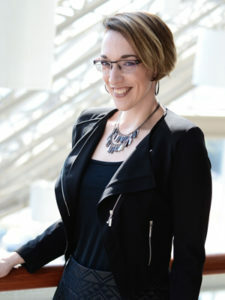 Since 2015, she has also used her graphic design, strategy and event planning talents in her volunteer role with the nonprofit Detroit Sessions, delivering on pianist Ivan Moshchuk’s mission to produce one-of-a-kind interactive experiences that leverage unique venues and arts partnerships to make classical music more accessible to new audiences. It is hard to believe that it has almost been a year since I was elected to the AIA Board. It has been an honor to serve and I have been fortunate to work with an amazing group of professionals who care deeply about this organization. In the past year I have learned a lot about what it means to serve on this board and I realize that there is a lot of work still to do. If chosen to be your Professional Affiliate Director again I will continue my work to grow our affiliate membership and create more beneficial connections between our professional membership and our affiliates. If elected I will be an active member of the board and a passionate advocate of the AIA. Thank you for a great year of growth and learning AIA! Peter Kyte comes with years of worldwide experience in designing & creating exceptional experiences for unique live event, retail, museum and architectural spaces. His experience in roles as a lighting designer & director, design consultant, creative director and creative consultant continue to grow. He has built his career leveraging lighting and video technology and design in the service of specific brand strategies as a Creative Director and as an architect of unique engagements. 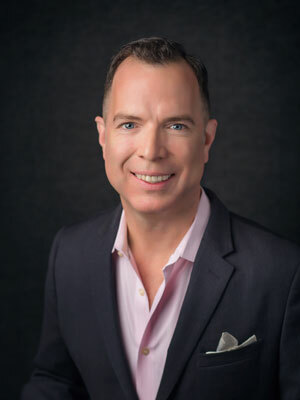 He began his career traveling the world in the cruise ship industry and quickly found himself moving to Las Vegas to expand into the corporate and large-scale venue market. Now in Michigan Peter has continued to expanded his repertoire and is working more closely with architects and builders. Peter’s best works are crafted in a collaborative environment working with artists, technicians, engineers and designers. He is the Founder of The Kyte Group, a member of the AIA Detroit Board of Directors, and active in the Detroit design community. As a newcomer to Detroit, I am in awe of the transformation Detroit has kicked into full-gear in a relatively short period of time. My mission is to use all of the tools at my disposal to keep that momentum going in whatever way I can for my new home town. I am fortunate to be associated with a firm that is also devoted to participating in the growth of this amazing city and I view the Affiliate Director opportunity as another tool I can use in this effort. Bringing over a decade of experience in a wide variety of A/E/C sectors and operations, Missy was very excited to make the journey from Chicago to Detroit and join the Gensler team last year. Missy has taken to the adventure with a resilience that matches her new city; and comes with an exuberance and dedication that is sure to serve Detroit well in the long-term. Her passion for knowledge and the betterment of her community makes her extremely effective as a researcher, administrator, and problem solver. Prior to relocating to Detroit, Missy was an Affiliate member of AIA Chicago, and has joined the AIA Detroit in the same capacity. She received multiple commendations for her role on the membership committee with the Chicago Chapter of the Construction Specifications Institute (CSI). Additionally, she sat as co-chair for the Metal Construction Association (MCA), where her team planned the organization’s two membership-wide annual meetings. Missy is currently studying for her LEED Green Association exam. As a long-time admirer of Gensler’s work, Missy is an inexhaustible source of information as she commits herself to learning as much as possible about the projects and opportunities she is now a part of. In her spare time, you’ll find Missy settling in at her new home in Grosse Pointe Park with her cats Desi and Lucy. Educated in hospitality and culinary arts, Missy likes to entertain and cook. I would like to serve on the AIA Detroit Board because I am a passionate, vocal designer, with a strong inclusion-driven focus on the development of our industry. I feel confident in my abilities to contribute to Detroit’s Board of Directors through more local collaborations for programming, leading important conversations in our community, and connecting dots for better paths to licensure. 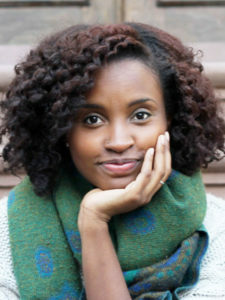 Imani Day is a designer with Gensler and former Adjunct Professor of Design at the University of Detroit Mercy. She is also an editorial fellow with the Avery Review. After graduating from Cornell University with a Bachelor of Architecture in 2011, she worked with Diller Scofidio + Renfro and Robert A.M. Stern Architects in New York City for four years. Day moved to Detroit in 2015 to focus on community-oriented design projects around the city with a strong passion for educational spaces and cultural work. She also has served as an executive board member for the Detroit chapter of the National Organization of Minority Architects.